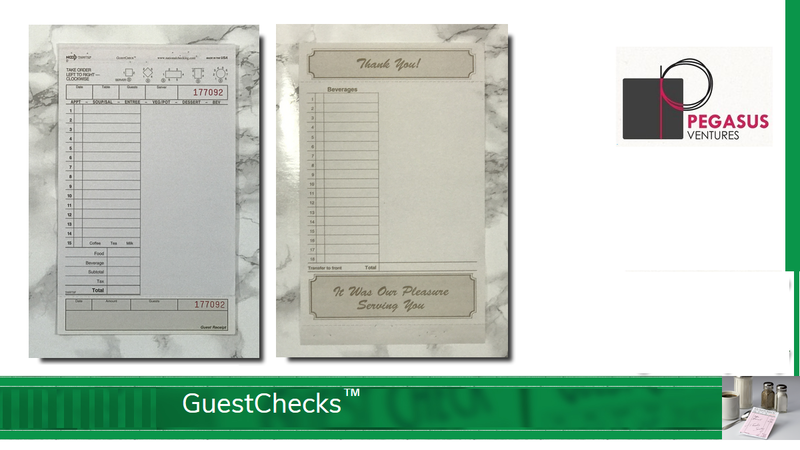 From National Checking Company the T6997SP restaurant guest checks are large-wide two-part carbonless guest checks featuring a paper top copy and duplicate cardboard copy. 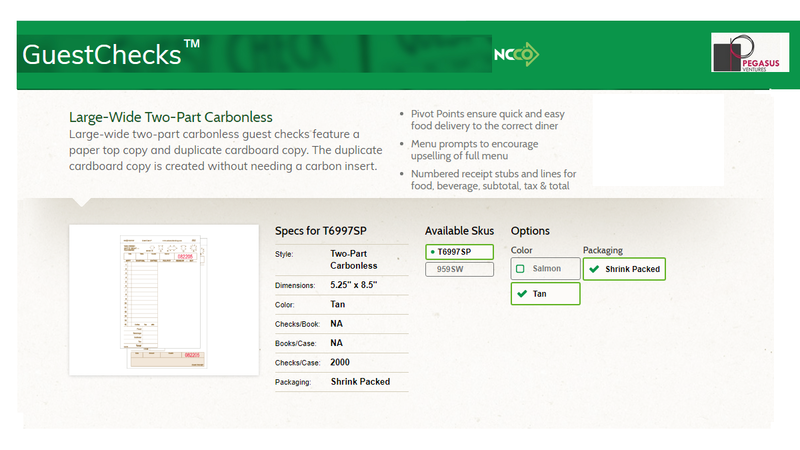 The duplicate cardboard copy for the T6997SP is created without needing a carbon insert. 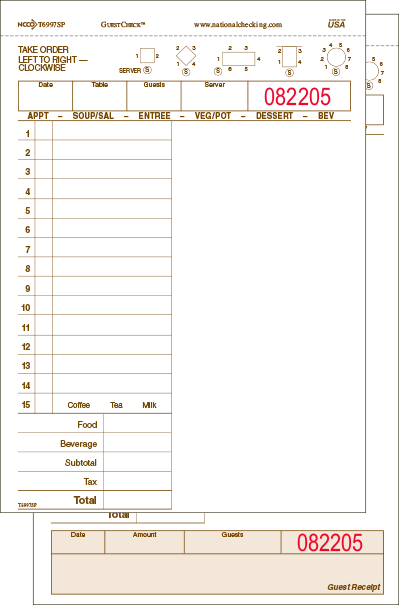 Pivot Points ensure quick and easy food delivery to the correct diner with menu prompts to encourage upselling of the full menu. 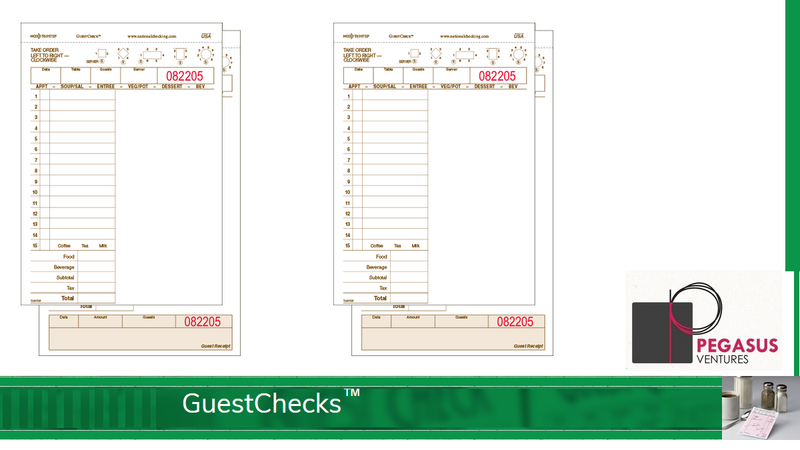 The T6997SP restaurant guest checks also feature numbered receipt stubs and lines for food, beverage, subtotal, tax & total. The T6997SP restaurant guest checks come shrink wrap packed in cases of 2,000. 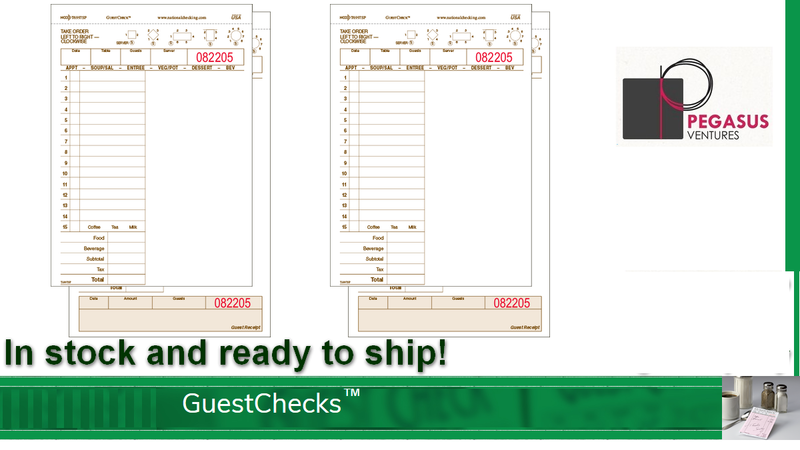 The T6997SP is a loose guest check meaning it is not in books or pads. 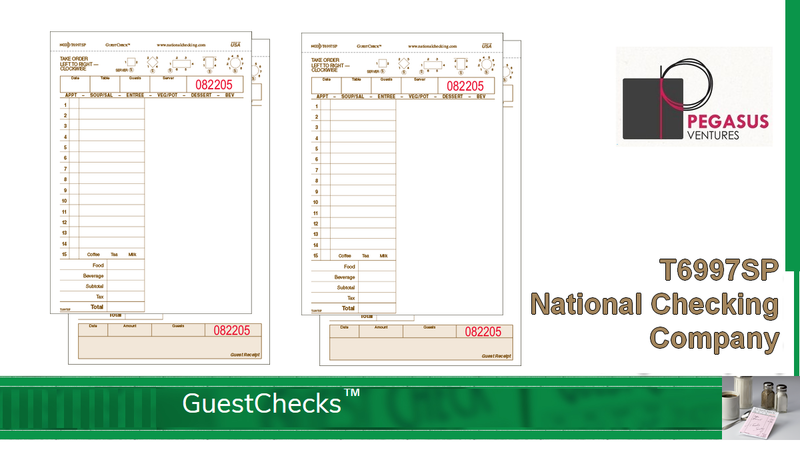 Need a presenter for the T6997SP National Checking Guest Checks? The AL-75 works great to present a customer with their bill and to collect cash and credit cards as well as the tip! 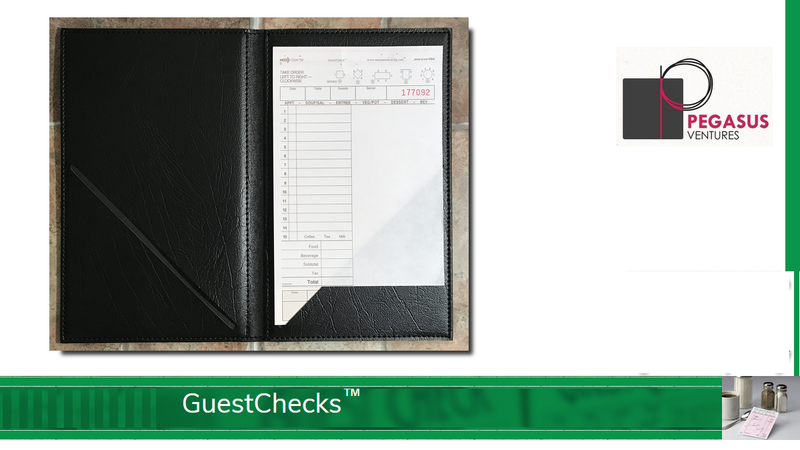 The AL-50 GuestCheck™ holder also serves as a great tool for wait staff to take orders! 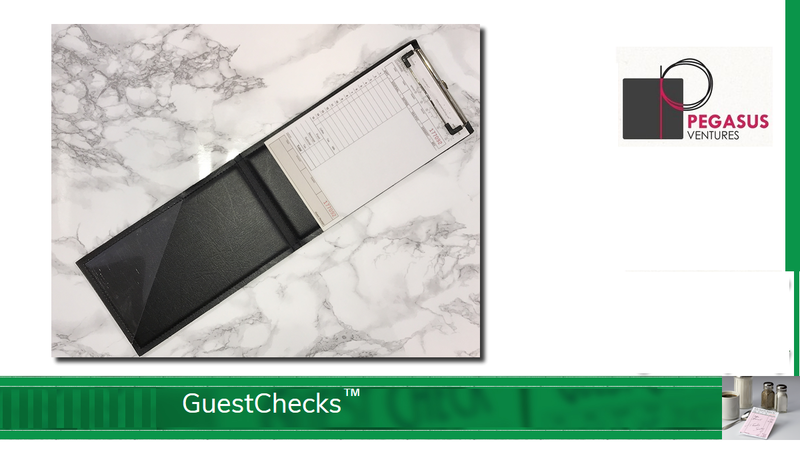 The T6997SP large wide tan restaurant guest checks printed by National Checking Company are always in stock and ready to ship to your restaurant, catering business, institutional kitchen and, of course, your home.